Lady Liberty is decorated in Red, White, and Blue with an “Old Glory” theme. 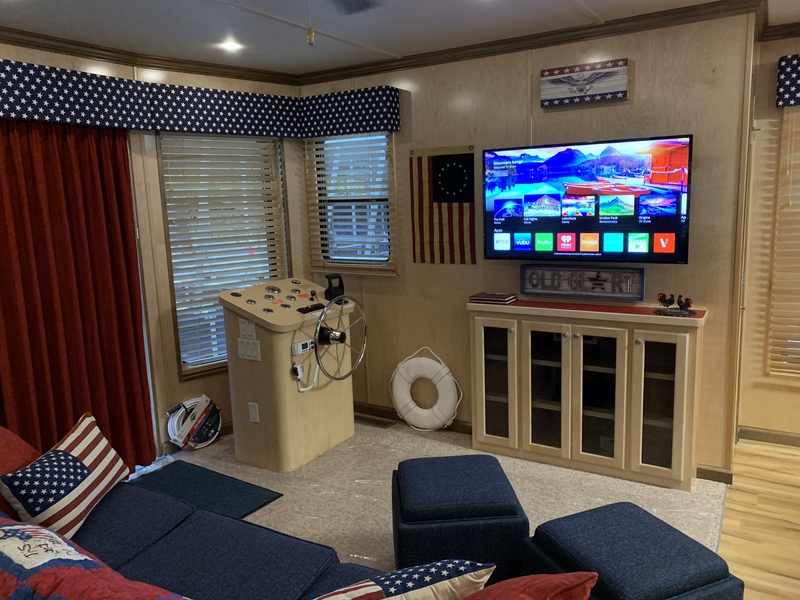 This houseboat is designed to deliver maximum fun and relaxation for up to twelve of your friends or family! From the helm up top to the big blue curlie slide… enjoy it all!! 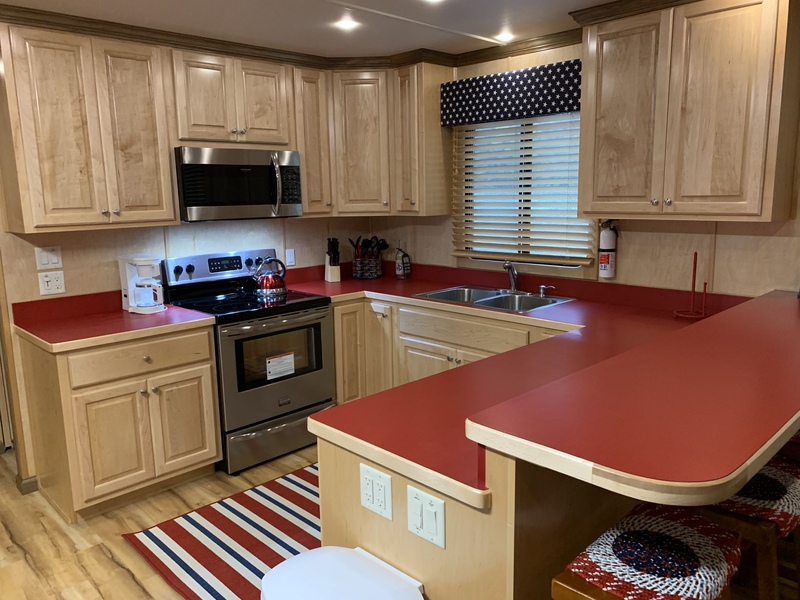 She contains lots of extra living area including six queen size bedrooms and two baths with hot showers, Central heat & air, Big Screen TV (No satellite/DVD only), Radio/CD, Marine Radio, Microwave, Clothes Dryer, Electric Refrigerator, Gas Grill, and Electric Stove. There are two slides…. a Tubular Slide and a Regular Water Slide. Don’t forget that our Hot Tub is included at NO extra charge. This boat is equipped with a safe low CO gas generator. 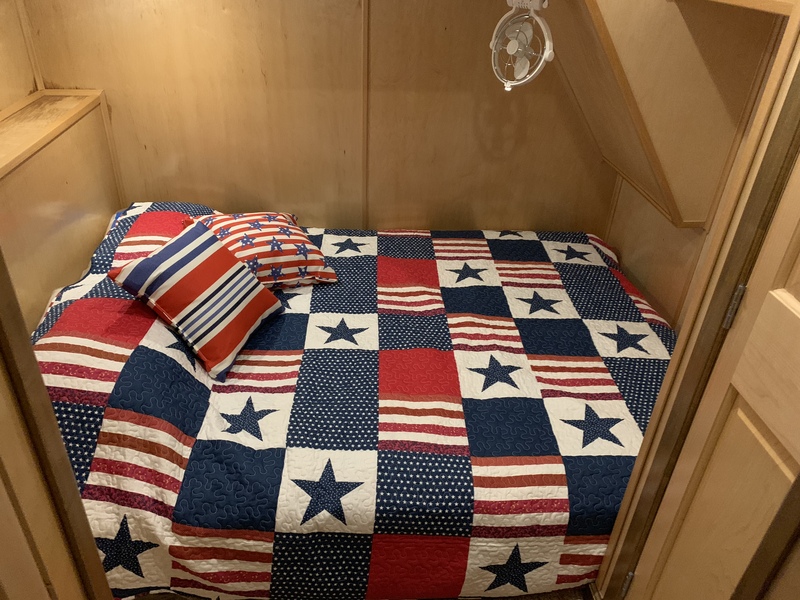 The Lady Liberty is furnished with just about everything you need to have a 5 star vacation. For more pictures of the Liberty, and to see what is happening around the marina, please look at our face book page and become one of our friends….